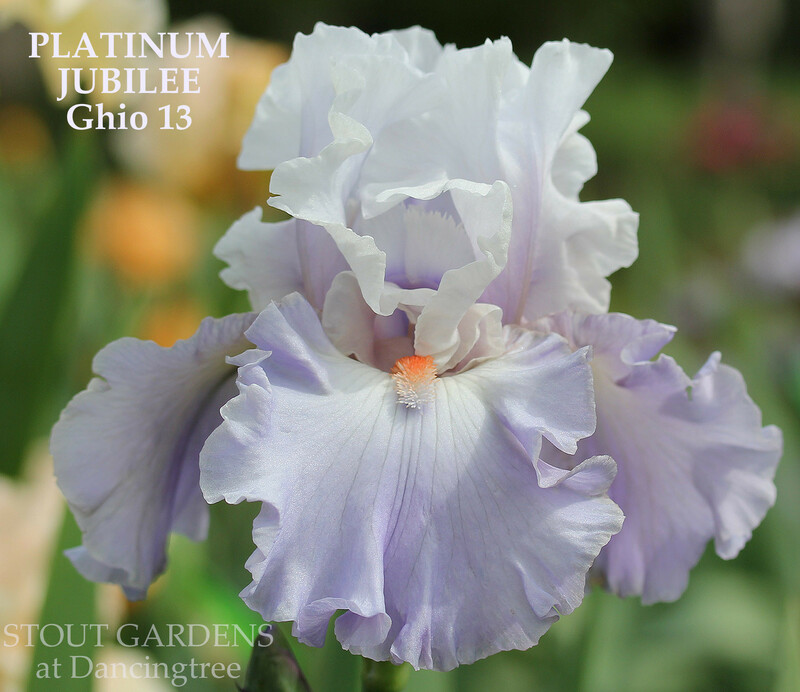 'Platinum Jubilee' (Joseph Ghio, R. 2012) Seedling #07-95C. TB, 36" (91 cm). Very early to early bloom and rebloom. Standards blue-violet, more pink at base; falls same, pinker toward heart; beards tangerine. 'Restless Heart' X 'Treasured'. Bay View 2013.